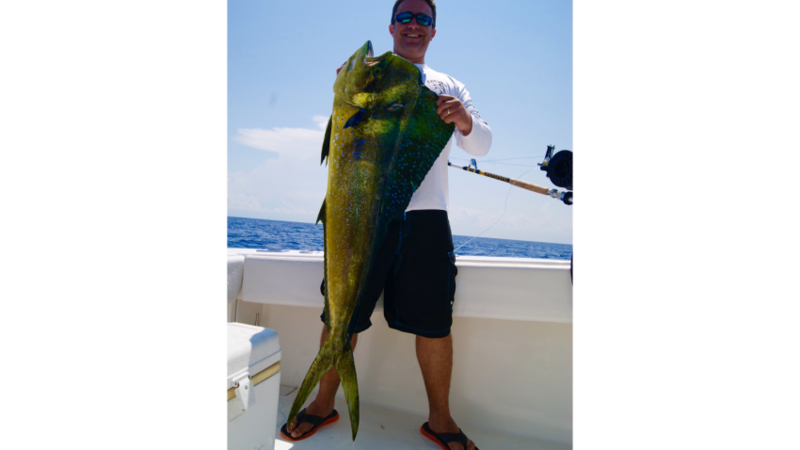 I have good news and bad news…The bad news is that fishing on the reefs has gotten a little slow. The bonita have been hard to come by but the bottom fishing for snapper has been good although very hit or miss. The good news is that the daytime sword fishing has REALLY picked up. Most boots are getting several bites a day and landing 1-2 fish per day. There has also been some very large dolphin offshore on the swordfish grounds which readily take live or dead bait. Snook fishing on the beach has also been picking up and becoming quite steady. We have some rough weather in store for the next few days so if my log book holds correct after the weather settles down the fishing should be FANTASTIC. Now is a great time to book a trip.